Over the last few days there has been a lot of talk about Apple’s new direction for iWork, especially when it comes to the OS X versions of its productivity suite. At an event on Tuesday, the company announced that they would be making iWork free with purchase of a new device — but it also announced a redesign that many are seeing as a regression of the product. Specifically, many who use Pages, Numbers and Keynote heavily are remarking on the loss of what they characterize as “pro” features. These power users are lamenting the changes, many of which mimic the look and feel of the suite on Apple’s iOS platform. The thing is, they’re right. 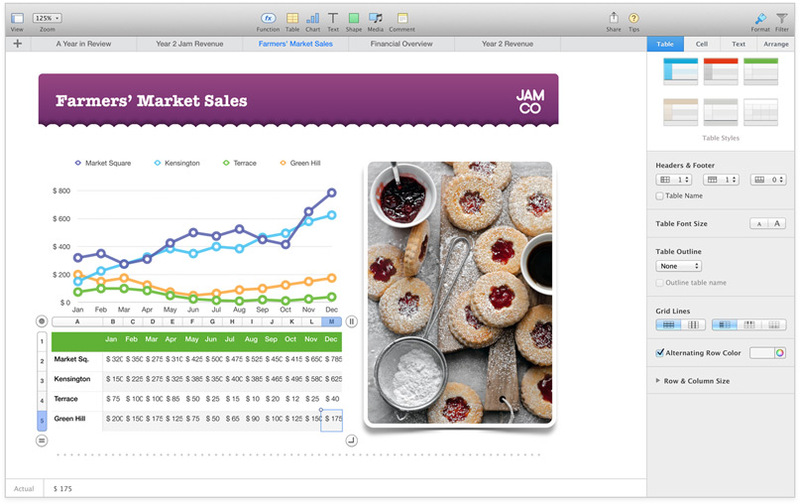 Apple did “walk back” the features and feel of iWork slightly across the board — and significantly in some niche cases. But it’s far too early in this new era of a free iWork to begin panicking about its future. From what I understand, the fact that this new version of OS X iWork looks and feels a lot like the iOS version is no coincidence. It’s actually a rewrite that’s founded on the code base of the (now 64-bit) iOS apps. And a decision was made to unify the visual look and interactive feel of the apps across all platforms — with the far more prolific iOS used as inspiration. iWork is handled under the supervision of Apple’s Eddy Cue, not the OS X chief Craig Federighi, but it’s boggling to think that this kind of decision wouldn’t have been very carefully considered by the senior staff at Apple. There are easy parallels to draw here to Apple’s “back to the Mac” initiative, which brought features and feel from its enormously popular iPhone and iPad to the Mac — largely in order to make them more familiar to “halo” adopters who may have started their Apple experiences with a portable device, not a traditional desktop or laptop. Lots of folks are getting all worked up about iWork being “dumbed down,” but it feels like a reset to me. I can see this playing out pretty much like Apple’s recent Final Cut Pro X re-thinking. That app was introduced in a radically simplified and streamlined form that caused immediate outcry. Over time, Apple has steadily added back features that were missing from the early dramatic redesign of the pro video-editing suite. A handful of mishandled decisions like pulling the old version of FCP too soon caused unnecessary friction there, but recent updates to FCPX have made it a very viable choice for professionals again. If we can ascribe anything to Apple’s recent efforts to bring iOS sensibilities to its Mac software, it’s that it likes to start extremely tight and zoom out as it adds features back into the mix. Now, you can (rightly) argue that this is incredibly inconvenient to people who use iWork all day to do stuff that has been hampered or made impossible by the changes. And you could argue that Apple could have worked in all of the features that iWork had before and maybe even more. These are not strange and unusual viewpoints. But that’s simply not the way Apple works, and it’s definitely not in its playbook lately as it goes through a big revamp in product direction and design. There are some serious bugs and upsetting omissions in the latest iWork, but that’s the price of a dramatic break with the past. And Apple has shown a willingness to take the heat on this stuff before. It’s unfortunate that users must share in the growing pains, but there it is. As with many of Apple’s product decisions lately, this is about serving the majority of users as much as possible. And if that means short-term pain and perhaps even something we could call “regression,” then so be it. In the end, I expect iWork to move forward to the point at which it was and beyond in the coming months.